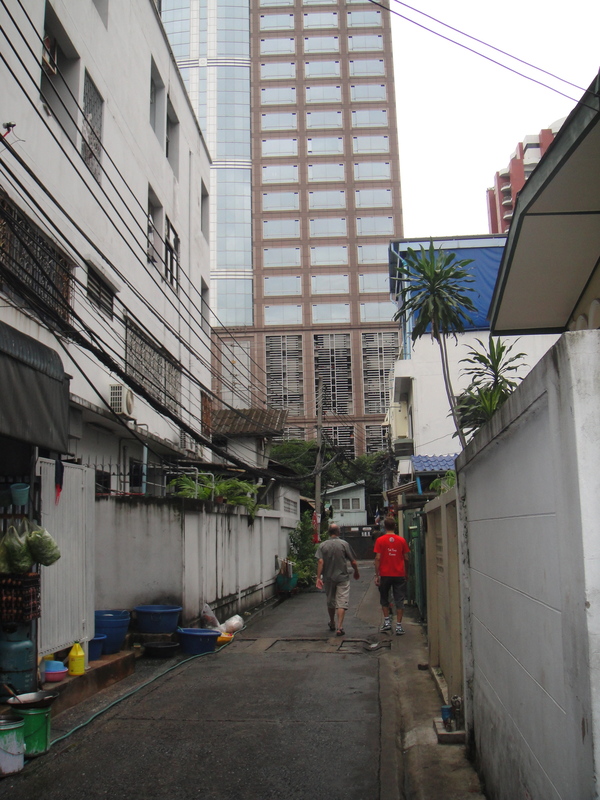 One enjoyable part of Bangkok, and many cities in Asia, are the small streets found amongst the massive high rise buildings. In America we have transitional areas of cities, an area of a city that is undergoing the transition from old to new. 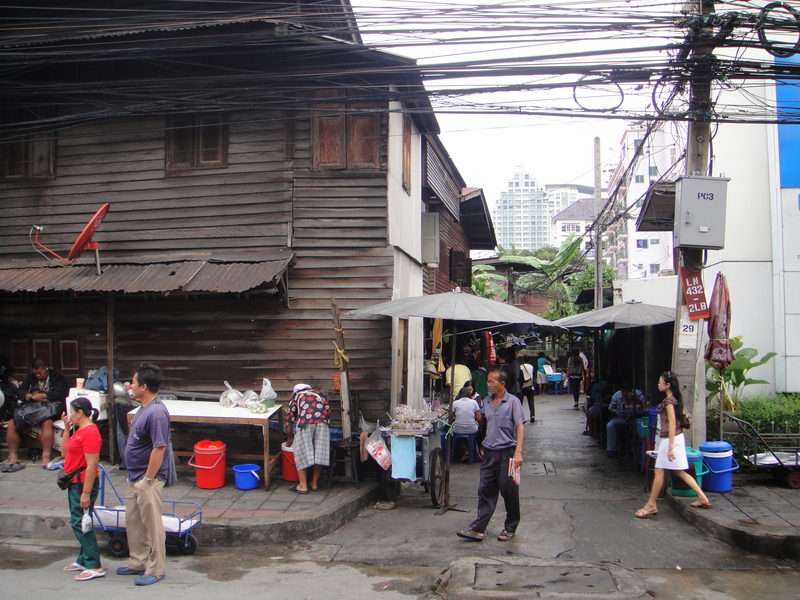 Bangkok is basically a massive transitional area- large buildings a few meters from old houses and high rise buildings on the same city block as traditional style Thai houses and architecture. 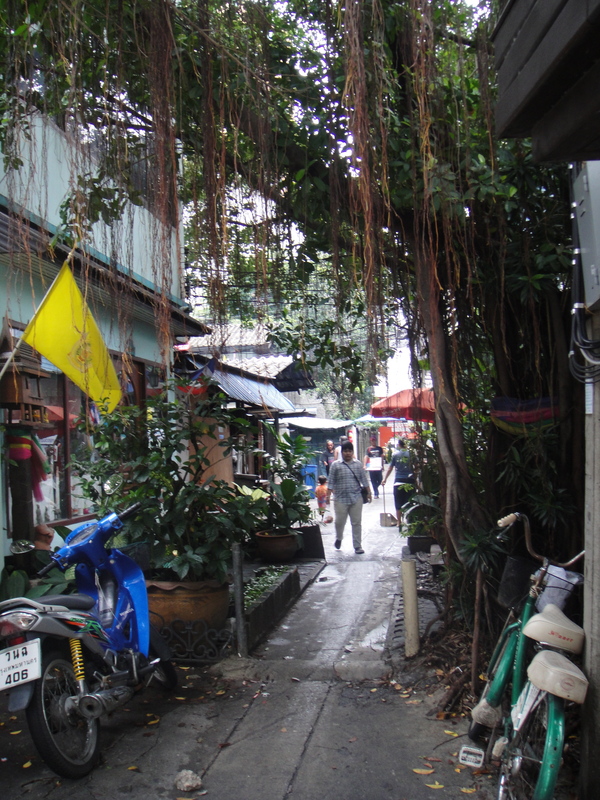 The small streets- called Soi’s- are one of my favorite parts of Bangkok. Some streets are so narrow only motorbikes can drive on them; they connect the larger streets, winding between old houses and big buildings. The Soi’s are one of the things that make Bangkok unique, a great way to sightsee in Bangkok is good walk through small Soi’s and markets. One of my favorite entrances to any Soi- only 2 minutes from the Four Seasons Hotel, heading toward Langsuan. This entry was posted in Bangkok, Culture, Landmark, Sightseeing, Thailand and tagged Bangkok, current events, Farang, is bangkok safe, sightseeing, Skyscrapers, soi, sois, streets, Thailand, travel to Bangkok now. Bookmark the permalink.